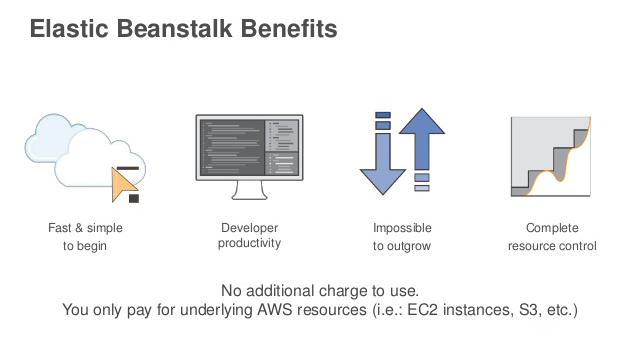 Elastic Beanstalk is managing layer for AWS services like EC2, RDS, Elastic Load Balancing. It removes the requirement for manually launching the AWS resources that are required to run the apps. Instead of doing manual, you can upload your app, Elastic Beanstalk handles provisioning, load balancing and app health monitoring etc. You can configure the resources by programatically using AWS Api. Elastic Beanstalk provides the ability to deploy and manage the containerized apps.